Neuroscientists in the Department of Biology in the College of Arts and Sciences (A&S) are using a major grant to study the origins of brain disorders, including epilepsy and stroke. 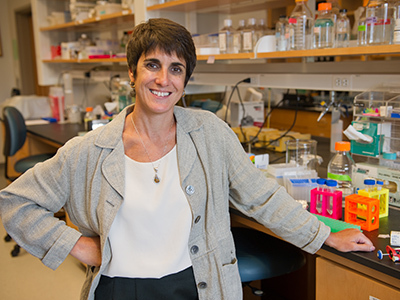 Sandra Hewett, the Beverly Petterson Bishop Professor of Neuroscience and professor of biology, is the principal investigator of a five-year, $1.7 million grant award from the National Institutes of Health’s National Institute of Neurological Disorders and Stroke. Hewett will use the award to research the physiological mechanisms governing excitatory and inhibitory (E/I) balance in the brain. Her project is part of a larger, nationwide effort targeting and treating E/I imbalances in neurological disorders. Central to Hewett’s study are neurotransmitters, chemical messengers that send information from one nerve cell (or neuron) to another. Neurotransmitters are excitatory or inhibitory, but work together to affect a variety of physiological functions. at, among other things, maintains glutamate levels in the brain. Glutamate is an excitatory neurotransmitter that enables the brain to function properly. 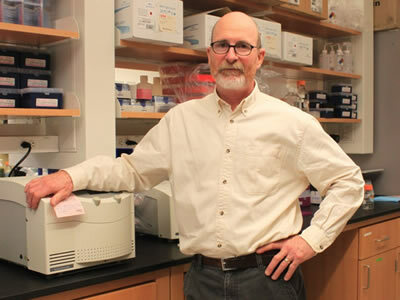 “Too much excitation [in neurons] can lead to seizures, which are characteristic of epilepsy, or to frank neuronal cell death, which occurs in stroke,” says Hewett, who, as executive director of Neuroscience Studies in A&S, oversees both the Neuroscience Integrated Learning Major and the Neuroscience Graduate Concentration. She will conduct research with members of her lab and with James Hewett, associate professor of biology and neuroscience, who is the project’s co-investigator. 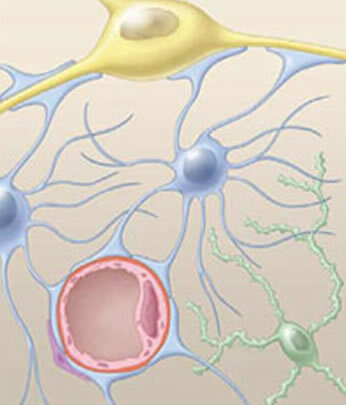 In addition to billions of neurons, the human brain contains 10 times as many non-neuronal cells called glia. There are different types of glia, including astrocytes, which are star-shaped cells surrounding neurons in the brain and spinal cord. The Hewetts are interested in how astrocytes create finely controlled environments for complex operations to occur. They suspect changes in the astrocytic system (known as system xc–) affect E/I balance. Hewett says she looks forward to working with an outstanding team of investigators, whose rigorous, well-planned approach already has produced exciting preliminary findings. “Our results will contribute to a better understanding of the role of astrocytes in the maintenance of I/E balance, thus elevating the study of synaptic imbalance,” she adds.